Quick and easy way to set meaningful metrics for your sales team! Looking for a way to take the guesswork out of goal setting for sales reps? 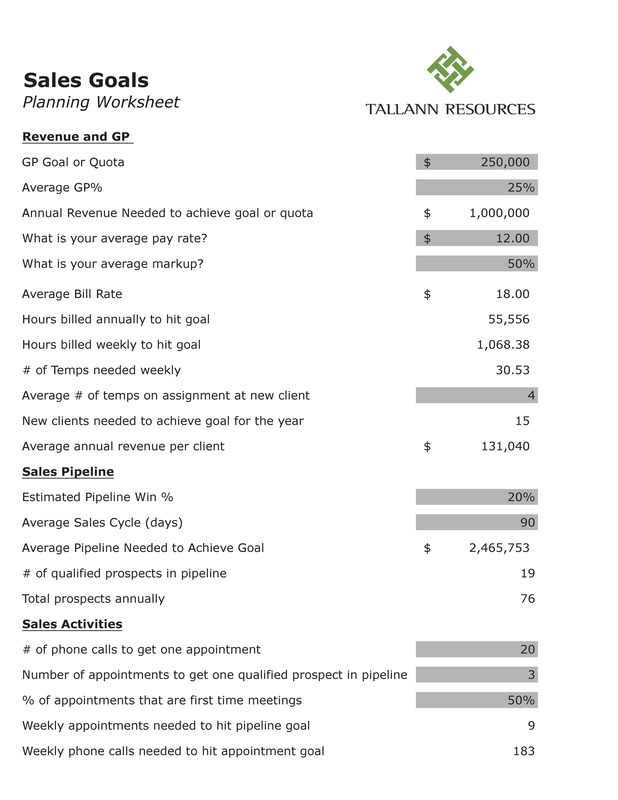 Then download our free sales tool, the Sales Goals Worksheet. This worksheet allows you to work backwards from a GP or Revenue quota to quantifiably determine how many activities, appointments, and deals a sales rep needs to be successful.